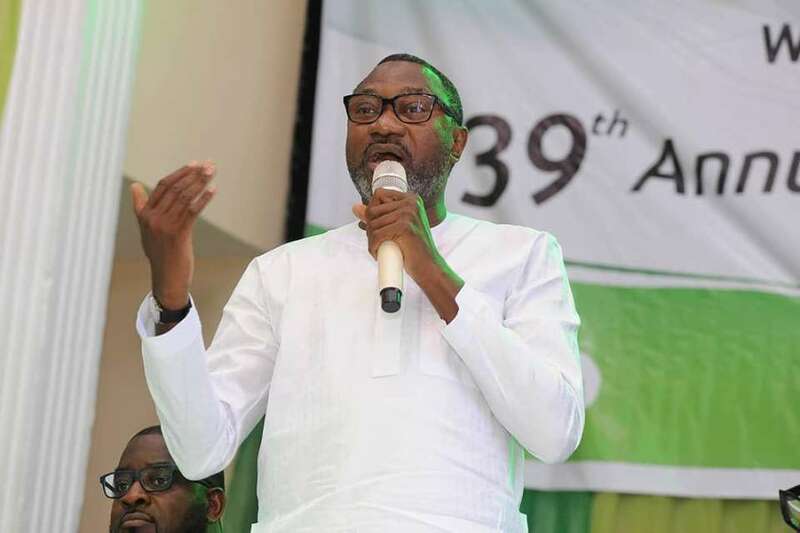 Here’s Femi Otedola Biography & Net Worth (2019) – When the oil boom era struck Nigeria fiercely, the nation solely depended on the viscous liquid as it’s source of treasure. It’s not a pretty walk in the park making historical successes in the oil industry. One of such men who have proven to have enormous sheer wit to succeed in such a competitive terrain is the Ibadan born westerner in the name Femi Otedola. With every attribute of a stylish billionaire, Femi is your wealth model any day. He’s a billionaire, investor, oil magnate, father and philanthropist. Ever heard about Forte Oil? or the name DJ Cuppy rings a bell? Well, Otedola is the father of both. His profile is one rich epistle of bounty successes, controversies and landmarks, but we shall focus on the brighter side of his biography and how much the elegant billionaire is worth. On the 4th of November, 1962 Femi Otedola was born into the affluent home of Late Sir Michael Otedola and Mrs. Nana Otedola in Ibadan, the capital of Oyo State, Nigeria. Prior to his demise, Sir Michael Otedola was the governor of Lagos State from 1992 to 1993. Otedola is a distinguished alumni of the great Ife, the Obafemi Awolowo University, (OAU) formerly known as the University of Ife. His educational stint gulped the bulk of his life from 1980 to 1985. After graduating from Ife as the school is fondly called, Otedola minded the family’s printing press business for some time before deciding to switch into the lucrative lane of oil business. One detailed peep into the great potentials of the oil retail market in 2003 prompted Otedola to delve in with both hands and feets. That would later translate to the setting up of Zenon Oil, a company that deals on the importation and marketing of petroleum products. The company flourish like the palm through the seasons and subsequently he was healthy enough in the purse to inject 15 billion into the Nigerian downstream sector and acquired oil storage estates for his company at the Apapa area of Lagos. In 2005, his company became a major playmaker in the Nigerian oil distribution sector. Major industries in the country had to hinge on his Zenon Oil for petroleum products supply. As Zenon at the time won’t slack in booming, in 2007 he became even healthier enough in the purse to become a major shareholder in African Petroleum, one of the largest oil distribution companies in Africa back then. He purchased 29 percent in shares from AP and merged his Zenon Oil assets further with the shares bought earlier to become the biggest shareholder of AP. Having secured most of the stakes, he was made chairman of African Petroleum which is today referred to as Forte Oil. His fortunes leaped further into high heavens after restructuring AP and changing it’s identity to Forte Oil. The company made landmark achievements in its niche and Otedola was spotted by Forbes and you sure know what it means to be recognized by Forbes. Forte oil would later intervene in the wanning power sector of Nigeria to salvage what’s left of it and hence boost it’s reputation and fortune. One innate thing about the rich is having diversified investments and Otedola won’t dare lay all his eggs in a basket. In 1994, he diversified into the finance sector with the establishment of Centreforce Ltd. He is also the CEO of Swift Insurance. He is the CEO of Seaforce Shipping Company Ltd. A shipping company that dwells on distributing petroleum products. Seaforce held the monopoly of the biggest ship in Nigeria and reveled in the streak while it lasted. In 2007 he was still palmy with business and eyed the real estate industry which saw him acquire from the federal government, the N2. 3 billion stallion house in Victoria Island, Lagos Nigeria for his Zenon Oil. He also owns FO properties. In 2006, he was appointed a non-executive director of transnational corporation of Nigeria Plc. This conglomerate cut across various sectors and was established by the then President Olusegun Obasanjo to address the needs of substantial capital investments across Nigeria and the sub-Saharan region. He was one time the Chairman of Transcorp Hilton Hotel Abuja, a hotel for the high and mighty in the affluent confines of Nigeria’s luxurious capital. He was a member of the Nigerian Investment Promotion Council (NIPC) in 2004, and the same year was appointed to a committee saddled with the job of building a bustling commercial relationship with South Africa. 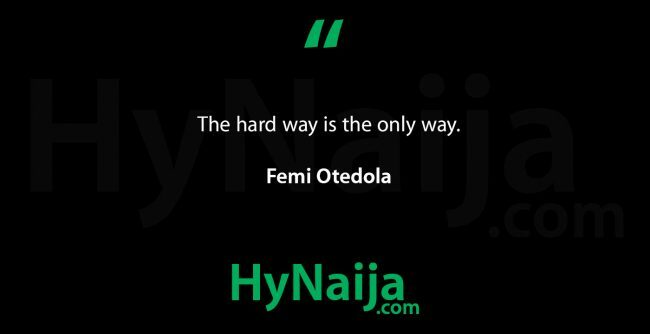 In 2011, Femi Otedola was appointed by President Goodluck Jonathan to Nigeria’s National Economic Management Team. Otedola is happily married to Nana Otedola and they both have four children, 3 girls Christine Olawunmi, Florence Ifeoluwa and Elizabeth Temi and a boy Fewa Otedola who suffers from Autism. His daughter Florence Otedola most of the time shares the spotlight with her father as she is a renowned Disk Jockey famous with the identity DJ Cuppy. She is also a tourism ambassador for Nigeria. The oil magnate’s net worth is reportedly valued at $1.2 billion after it plummeted from $1.8 billion due to a drop in the share price of Forte Oil. However, Otedola is still part of the flamboyant rich lot with a pricey home in Ikoyi, Lagos Nigeria and some high valued properties in Abuja, Dubai, New York, France and London.